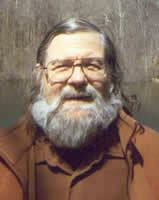 Alexis Adams Panshin is an American author and science fiction critic. He has written several critical works and several novels, including the 1968 Nebula Award-winning novel Rite of Passage and the 1990 Hugo Award winning study of science fiction The World Beyond the Hill (written with his wife, Cory Panshin). CLICK HERE FOR MORE BOOKS BY ALEXEI PANSHIN. 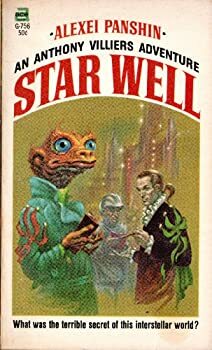 Star Well, by Alexei Panshin, is an entertaining comedy of manners in the SF mode with a hint of the demimonde thrown in for flavour. Our protagonist is Anthony Villiers, Viscount Charteris, an aristocrat and fop whose life seems to be a perpetual Grand Tour of the Nashuite Empire, chasing the stipend afforded him by his father from port to port and resorting to what might, in impolite circles, be considered illicit means to gain funds when he is unable to catch up with it. He is no career criminal or grifter, though, and is content rather to live a life of comfort and fashion without sullying his hands with anything so low as labour or outright criminality. He is, in a word, a gentleman.